Want to be on TV? 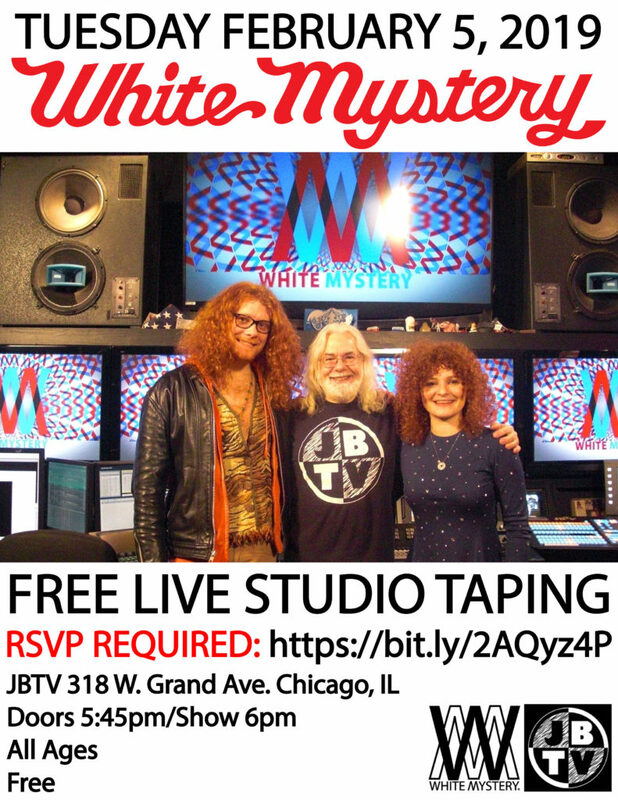 White Mystery is taping a live concert for legendary rock television show, JBTV, on Tuesday February 5, 2019. Doors at 5:45, and the show is at 6pm. Dress crazy, or come as you are!